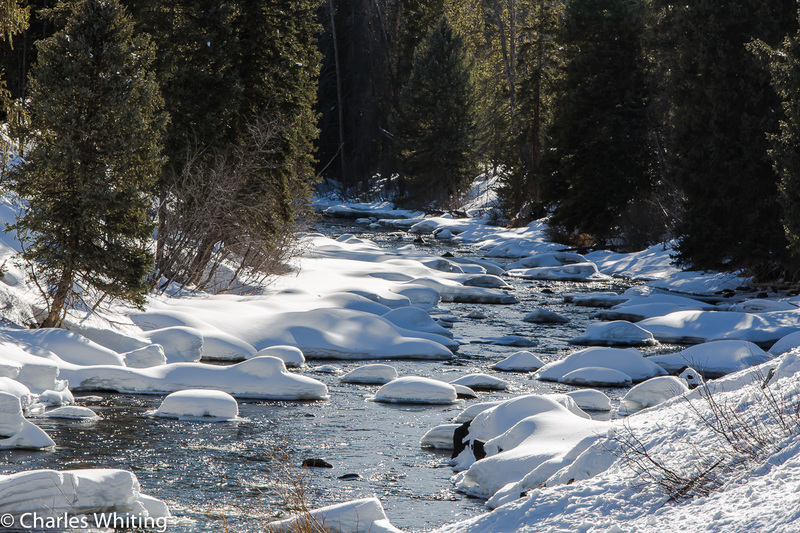 The late afternoon sunlight sparkles on a small stream flowing through snow fields and pine trees. Steamboat Springs, Colorado. Photo © copyright by Charles Whiting.